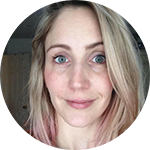 Based in surrey, england, i am a trainee yoga teaher specialising in slow flow hatha yoga and fertility yoga. i believe in creating a community of women who support each other. I’ve spent a lot of time over the past few years soaking up every bit of information I can find on happiness - what makes people happy, how we define it, how we keep it. In my teens and 20’s I was crippled with depression, I never felt good enough, I turned to controlling my eating, had a terrible body image and no self confidence. I was so unhappy and couldn’t understand how some people just seemed to breeze through life without a care in the world when I had the weight of the world on my shoulders permanently. Over the years I have found various tools that have turned my thoughts and life around, yoga was the catalyst for me that brought other things in to my life - spirituality, personal development and striving for more information and learning around wellness, positive psychology, mindset and habit forming. I have a new program starting 1st December which will based around daily habits for happiness. I want to share you a little overview of what is to come with my rainbow of daily happiness habits. What’s the difference between happy people and miserable people? Have you ever looked at relentlessly positive, happy people and wondered how on earth they can do it? Have you thought about how easy their life must be, how privileged and free from troubles must they be to be so godamn happy all the time? Me too. This is what I used to believe - that everyone happy had it easier than me. But in truth, and this comes from much research and scientific studies, I can share with you that it is all an illusion. Happy people are not free from worry, or hardships, or pain - they just approach it differently. It’s all about mindset. The main difference between happy and unhappy people are habits. Happy people practice more happiness-boosting habits, unhappy people stay stuck in their habits. They think differently. They act differently. That’s it. Isn’t that great? It means you have the power to choose happiness. In yogic terms we have a concept called Santosha which describes a state of unshakable inner peace. How can you find it, or something close to it? 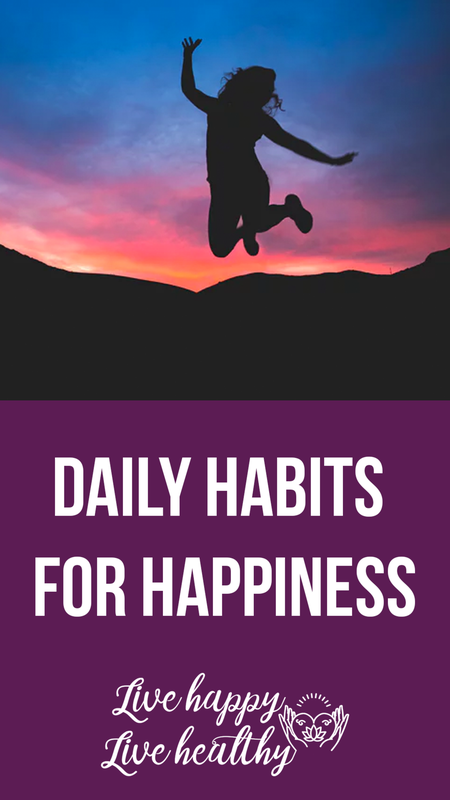 If you want to be happier, simply practice more happiness habits until they become a natural habits you do daily and I’m here to help you. Here are my daily habits that we will explore in more depth in my program, starting 1st December. Meditation is gaining traction in the wellness space and among medical professionals as a recommended tool for improving our overall well-being, our health, and our happiness. Meditation literally changes the physical structure of our brains and rewires them for increased happiness. Much like meditation, gratitude is becoming a go-to habit for happiness, simply because it works, and science has proven it. Scientific studies consistently show the emotion of gratitude to be one of the strongest happiness boosters known in the scientific literature. Happy people are more grateful than unhappy people. In fact, that’s one of the core reasons why they are happier in the first place. At the end of the ten weeks, participants writing things they were grateful for reported feeling more optimistic about their future and better about their lives as a whole. They reported fewer health problems and even spent more time exercising than people in the other groups. In terms of their happiness, by the end of the study the group practicing gratitude daily were 25 percent happier than the other participants. In just 10 weeks! We are talking verbal and physical language here people. Your body and mind are clever, they are interlinked. Your body will show signs of how you are feeling in your body language whether you are aware of it or not but guess what, you can also use it in reverse… if you become more aware of your body and facial expressions you can use them to send messages to your brain that you are happy, in turn actually making you feel happier. Similarly, if you are feeling down you are likely more drawn to negative language and outlooks. By becoming aware of and changing language we can start to form a pattern of positivity. For example, instead of apologising for being late you could simply say “Thank you for waiting for me”. You’ve not had to put any guilt on yourself through your language, simply by changing a few words. You’d be surprised how many simple thoughts and phrases you will say to yourself and out-loud that have similar negative or guilt-inducing connotations. As with all of these habits, we start with awareness then build habits. Kindness. It sounds so simple but in daily life it can be easy to overlook being kind to ourselves or kind to each other. Another yoga concept is Ahimsa, one of the five yamas, it is the the practice of no-harm/violence, which includes physical, mental, and emotional violence towards others and the self. In modern life this can be looked at as not reacting to events or others in judgment, criticism, anger or irritation but taking it further, we really want to be practicing kindness actively. Not just not doing harm but actively trying to improve a person’s day through kindness. Back to science again - Acts of kindness actually light up the pleasure centres in the brain. for anyone familiar with the 90’s classic sitcom Friends, there is an episode where Phoebe (the hippie of the friends) tries to spread kindness by demonstrating a completely altruistic act but finds she ends up making a friend happy through her act, which then makes her happy too. Being kind to others actually makes us feel good too. We’ve already talked about some things that will nourish your soul - meditation, gratitude… but how about your body? In the past I have tried every diet around, with weight as a sole focus but that feels like a distant memory these days, I can’t imagine ever counting calories or restricting foods, I work on a much more intuitive level. We will explore how food can affect our mood in more depth on my upcoming program but there are some simple facts - some foods and drinks such as alcohol, caffeine and processed sugar, will lower your mood. Some foods will boost your mood such as Brazil nuts, Oily fish, Oats and Bananas. Adaptogen herbs (such as ashwagandha) are also fantastic at helping combat the cortisol spike that stress can cause. I use an amazing daily tonic full of B vitamins and adaptogen herbs and really notice the difference in my mood if I don’t have it for a few days. I truly believe that if we all focussed on nourishing our body with food and supplements, and lowering our stress levels we would be happier and healthier without the need to ever diet. Exercise - you may think this is more of a physical requirement than an emotional one, ie. related to happiness but the body is a whole. I believe you need to nurture body, mind and soul to feel aligned and happy. Exercise may very well be the most effective instant happiness booster of all activities. We explore this in more detail in the upcoming program, “Daily Habits for Happiness”. We humans are wired to compare and categorise - it’s how we make sense of the world. We have a habit of categorising everything… good/bad, fat/thin, healthy/unhealthy, better/worse. What if instead we just see things as simply being. Not being good or bad but just accepting as they are. In the world of social media, comparison is more prevalent than ever. Everyone seems to have better holidays, more freedom, better behaved kids, better clothes, more money, a better career… the list goes on and on. What we must remember is that we only ever see part of the story, the only story we fully know is our own. I’ve written before about comparison and my mantra remains the same: Comparison is the stealer of joy. Repeat after me: Comparison is the stealer of joy. Express your interest in joining my new program starting December 1st. We respect your privacy and will never share your details. You can opt out at any time. Hi, I am Michelle. Having struggled with negative body image and fertility struggles, these are at the core of my yoga practice and teaching.